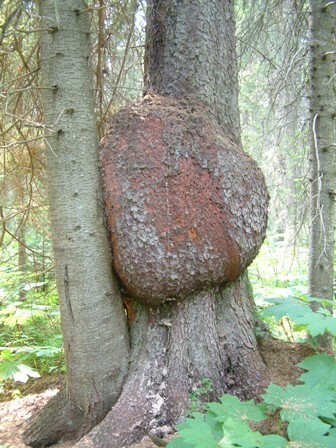 I’m not a Forester and I don’t profess to be, but I do admire Mother Nature in all her glory and oddities. That was something I learned from my dad I guess. Whenever we would be out walking in the woods or camping, his eye would always pick out the things that were different and he would make sure us kids saw whatever it was he saw. My dad’s humour would undoubtedly find something funny to say about whatever he spotted, he knew in order to make it interesting to us he needed to make it fun. He also had an explanation or a logical reason why things in nature were the way they were and what to us kids was just a walk through the forest to kill time and appease dad and mom, would usually end up being an educational adventure. I find myself now, many years later, doing what my dad did all those years ago. 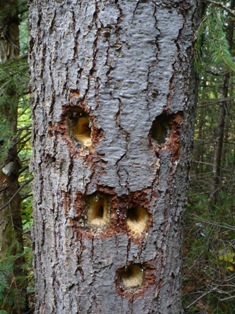 When I go for walks, either with my kids or on my own, I find my eye drawn to the unusual or unique things in the forest and I’ll be sure my kids look at the different or unusual things nature has to offer and yes, I also try to find something funny or interesting to comment about it to attract my children’s attention. It’s amazing the imagination a child can express just walking through the woods. I see now in my adult years that the odd balls usually have a usefulness, or a reason for being. 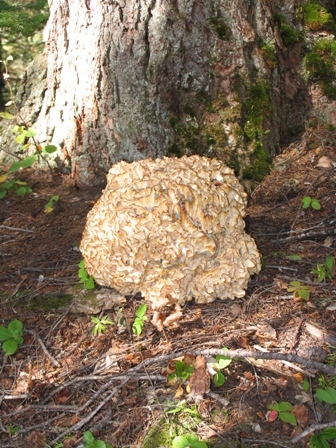 These things aren’t there “just because” — Mother Nature has a reason for everything…whether it b e that odd looking fungus growing on the forest floor, the burl growing out the side of a tree, or holes in a tree from a woodpecker, they are there either to do a job or to provide a need in the environment. Walking through the trails at the Aleza Lake Research Forest I’ve noticed a few oddities or beauties, however you would like to look at them, a few of them are shown here. Next time you walk through a forest or more specifically the trails at Aleza Lake Research Forest, see what you can spot that strikes you as odd, unusual or beautiful.